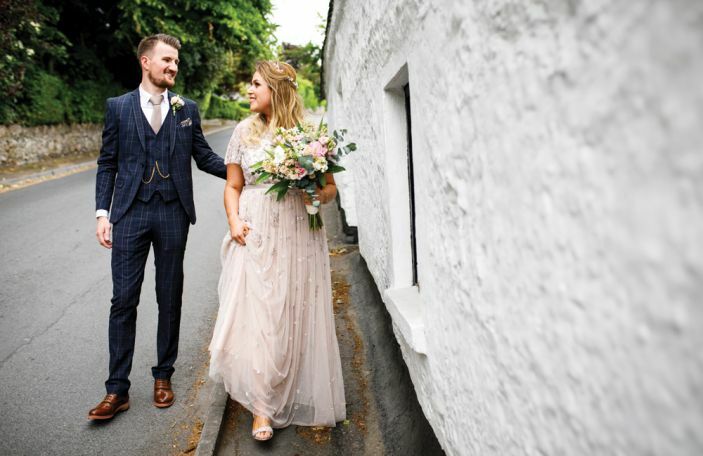 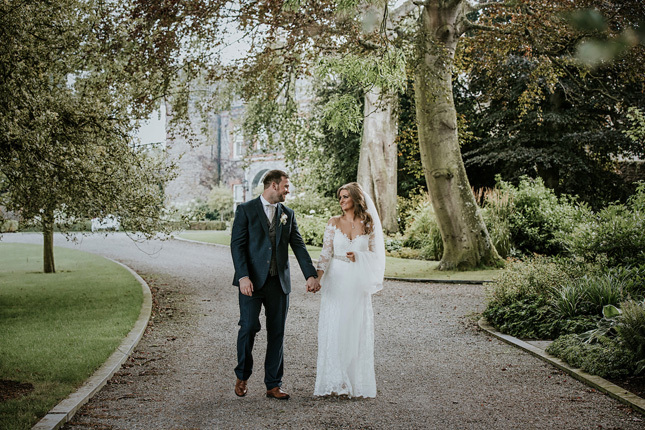 Sarah and Mark's beautiful Ballymagarvey Village wedding came about years after they first met as teachers in the same school. 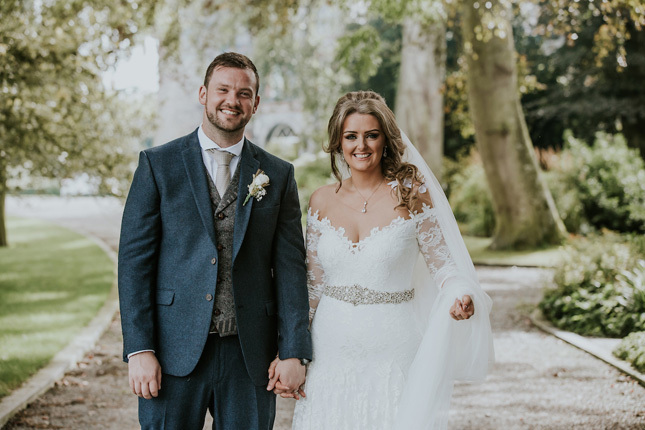 They first got chatting during a charity sleepout the school was running, but their first date didn't come until a while later. 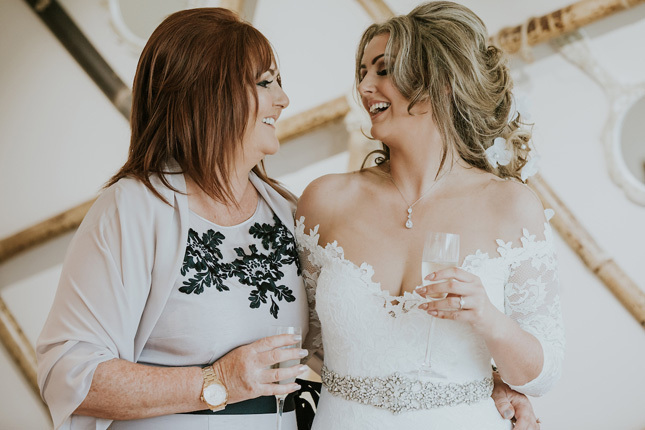 "I was at home in Dublin visiting family when a drunken phone call led to Mark booking flights over to Dublin [from England] two days later. 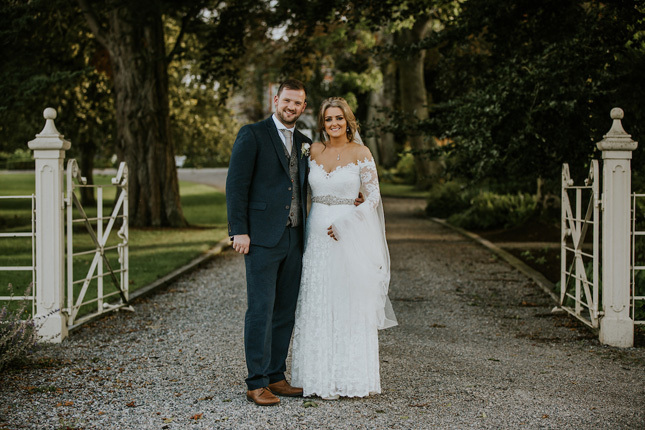 Ultimately, our first date was actually a weekend in Dublin, which consisted of Mark meeting the whole family and staying in the family home!" 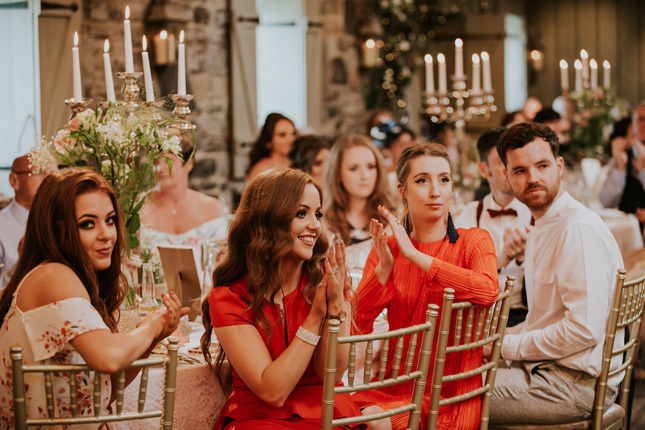 laughs Sarah. 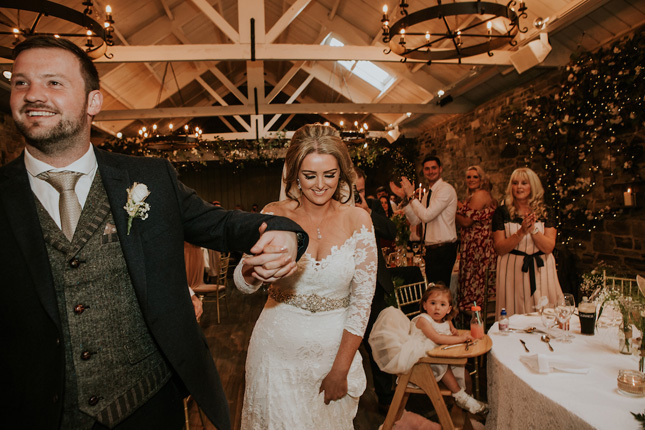 Alternating Christmases between England and Ireland made the proposal a little tricky for Mark. 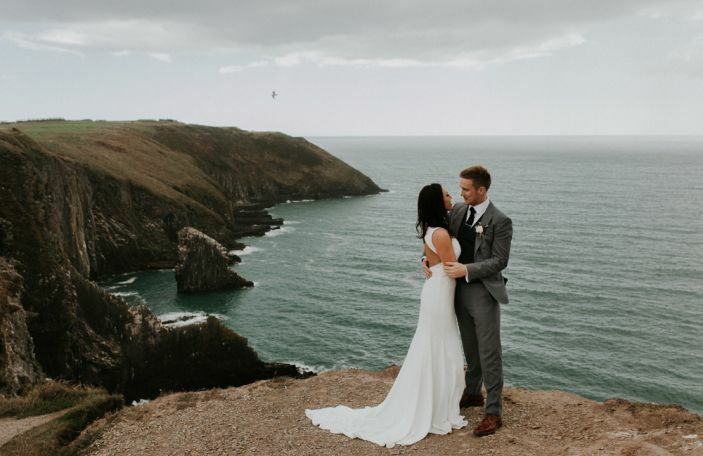 "He checked a bag in and packed the engagement ring in the suitcase. 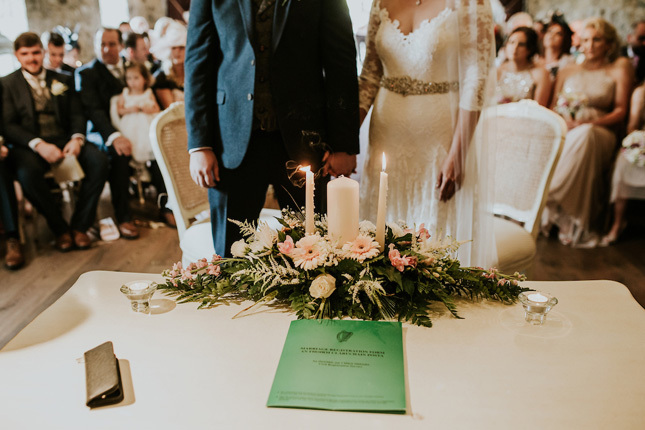 After sending it through the airport and sweating on the short flight over from England he said a prayer and opened the suitcase to see it was still there. 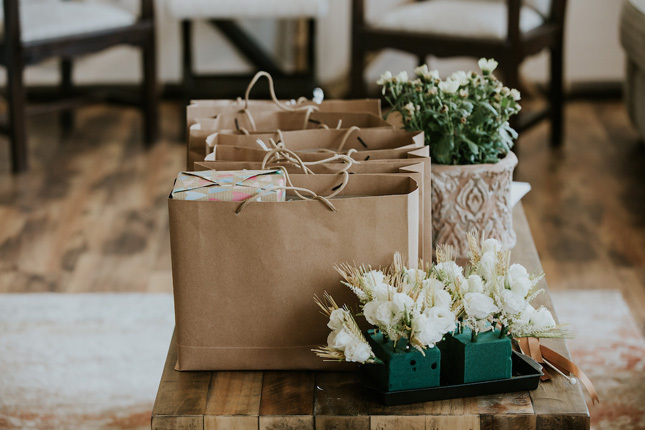 Christmas morning came and he ‘forgot’ one last present, ran upstairs and grabbed a stack of presents. 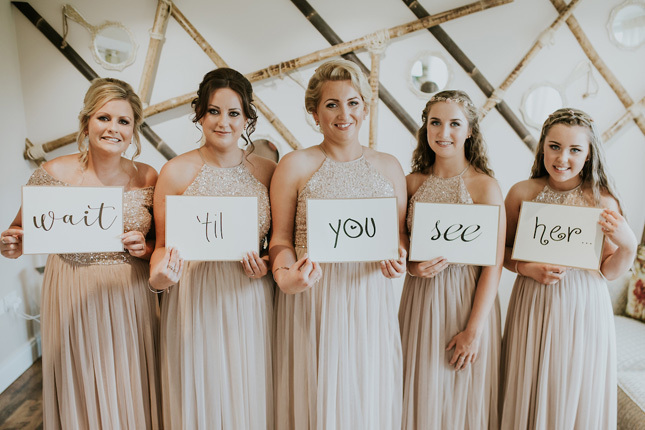 Each one had a photo frame in with a verse from a poem. 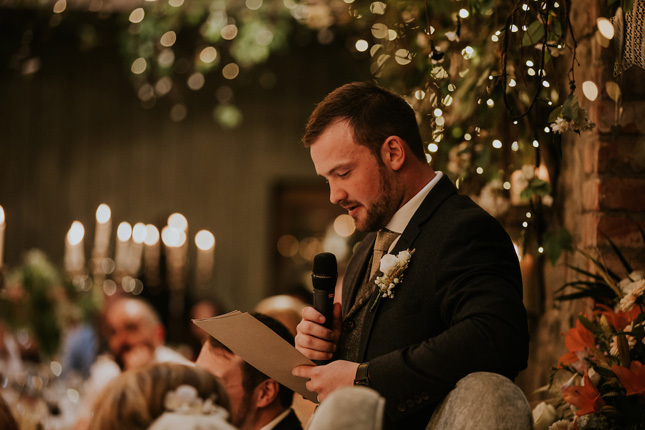 After reading the final verse I turned around to see Mark down on one knee with a tear in his eye. 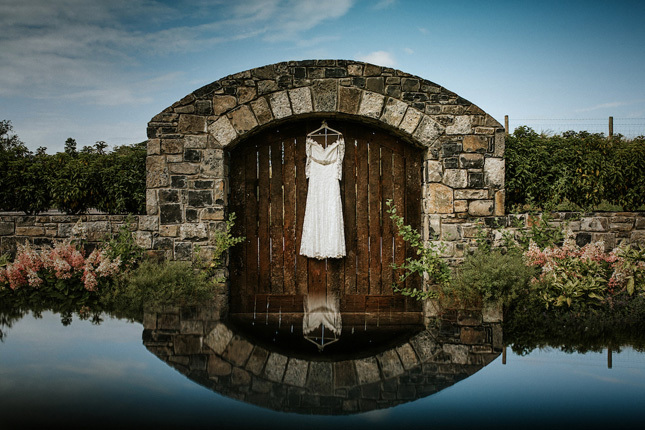 I sank bank into the chair and after twenty seconds of being speechless, said ‘yes, of course’," remembers Sarah. 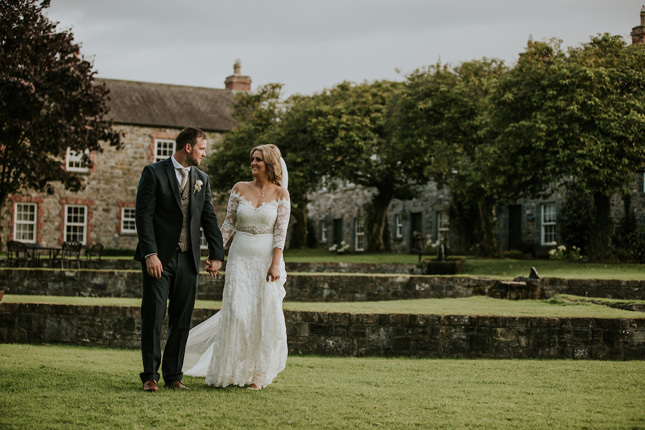 The pair looked at three wedding venues before deciding a Ballymagarvey Village wedding was perfect for them. 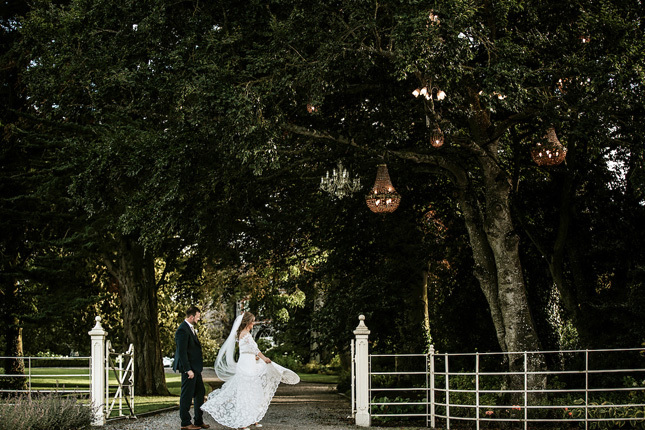 They were drawn in by its effortless grandeur and glamour. 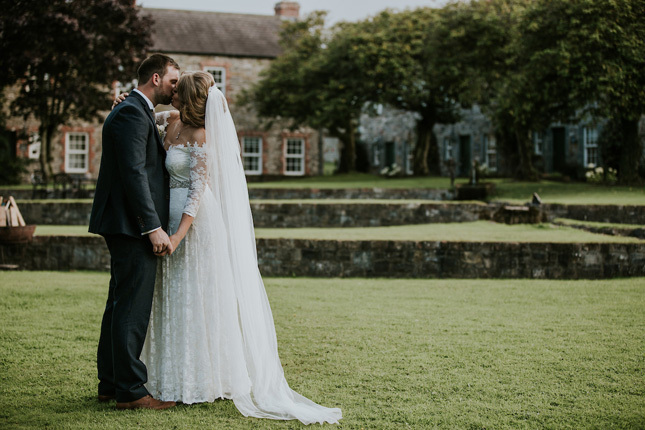 "The moment we stepped foot in Ballymagarvey Village we knew it was our dream venue. 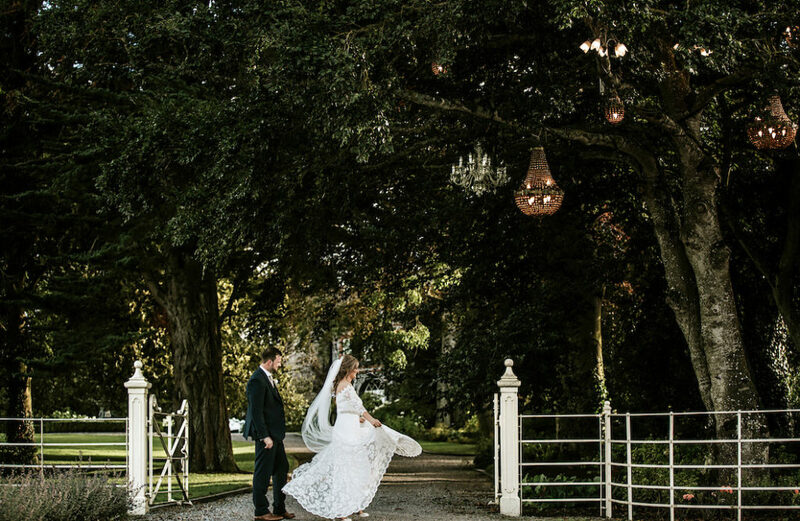 It had everything we could have ever wished for and knew it was the right place for us," she says. 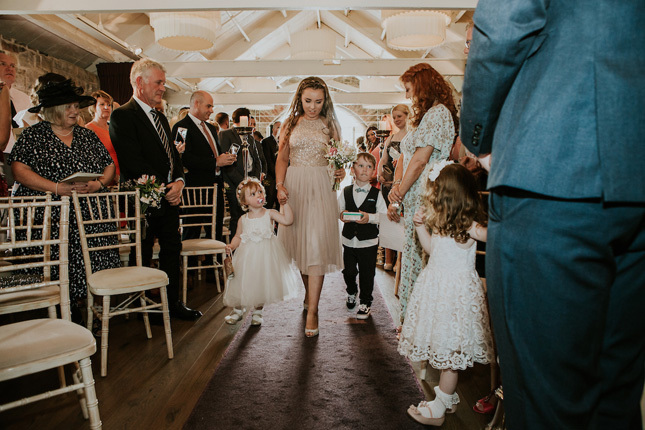 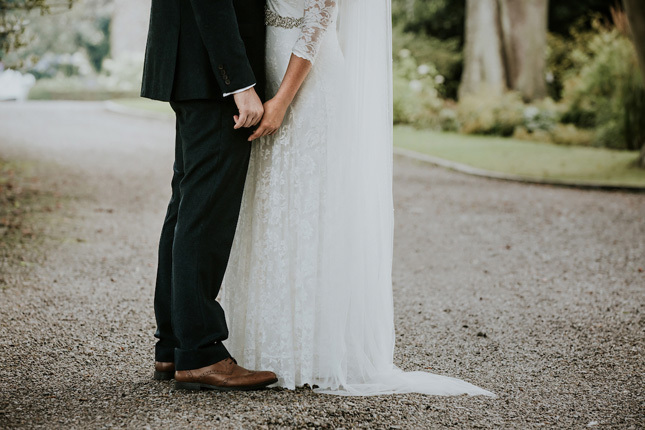 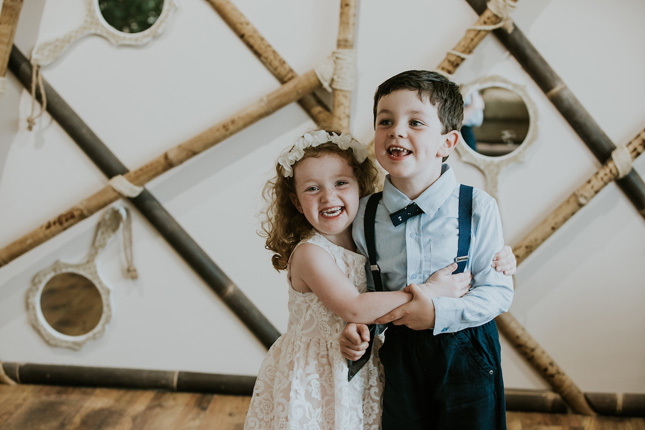 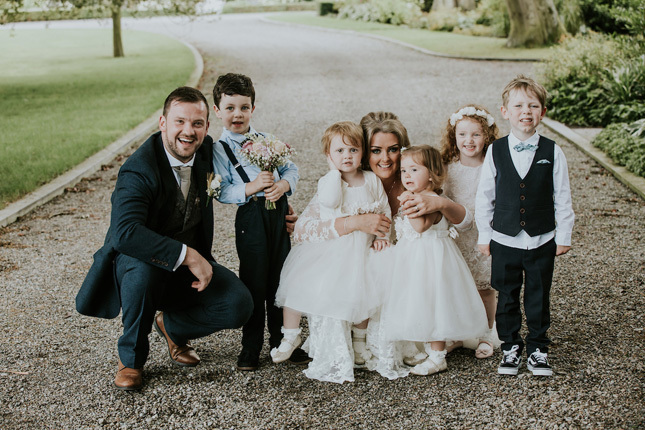 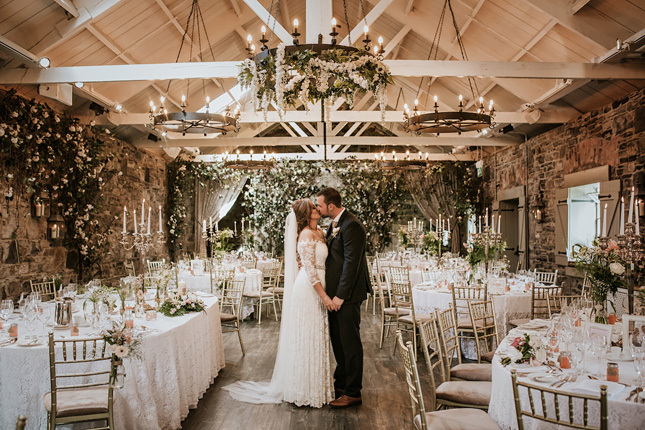 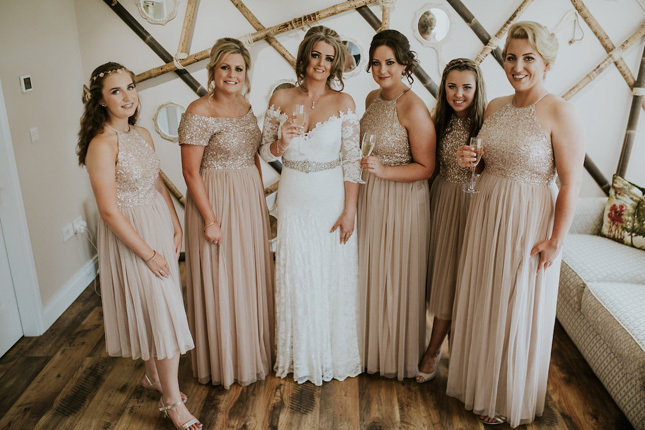 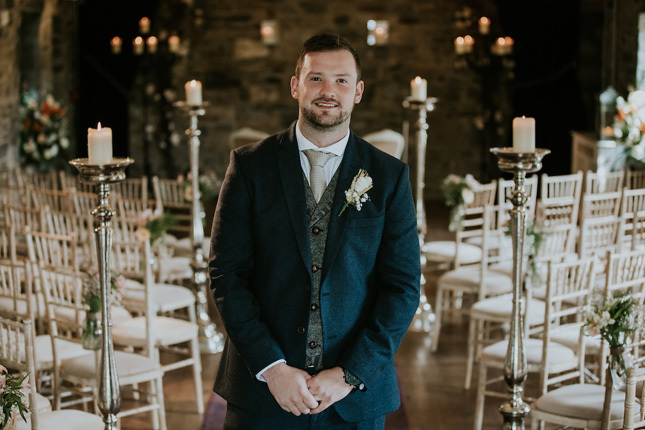 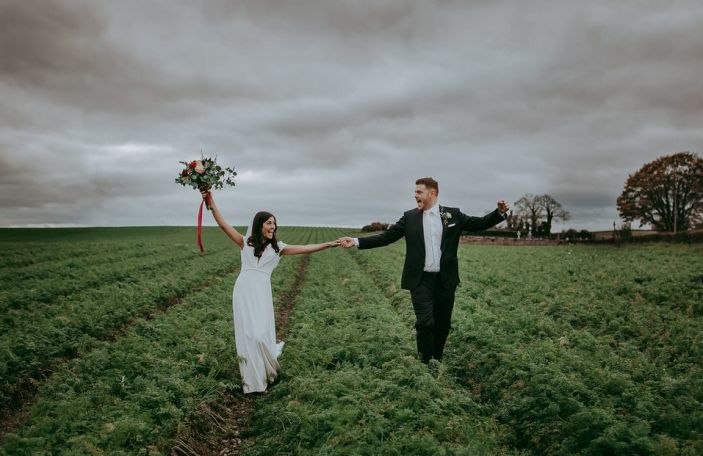 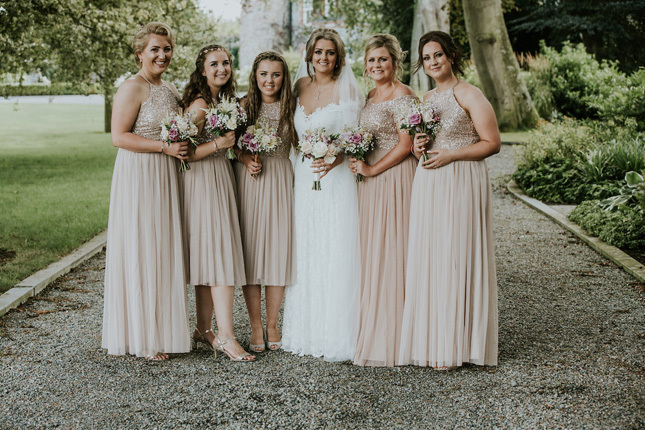 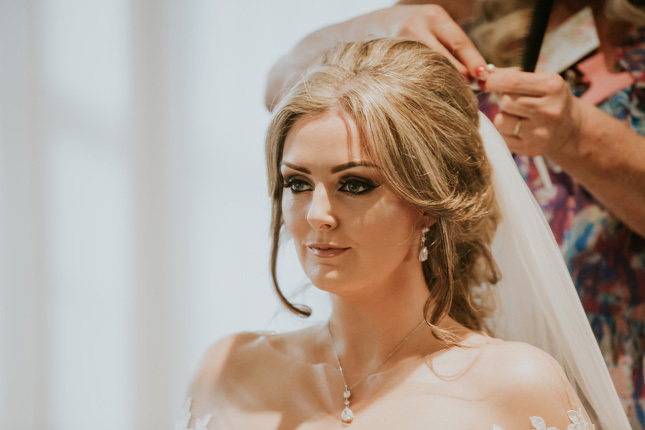 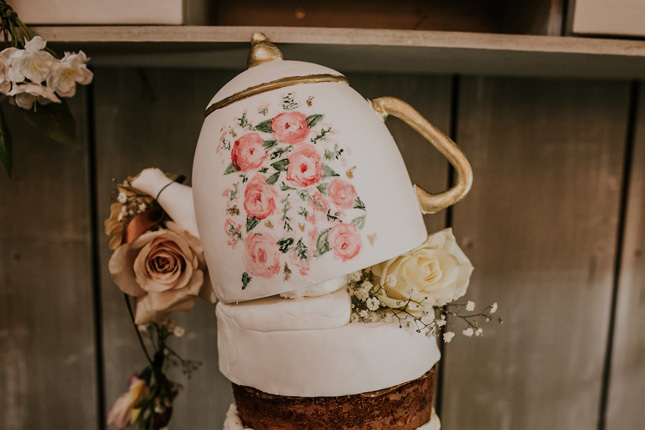 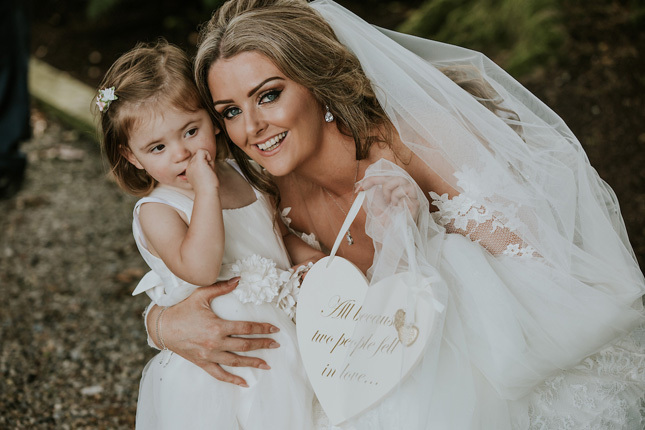 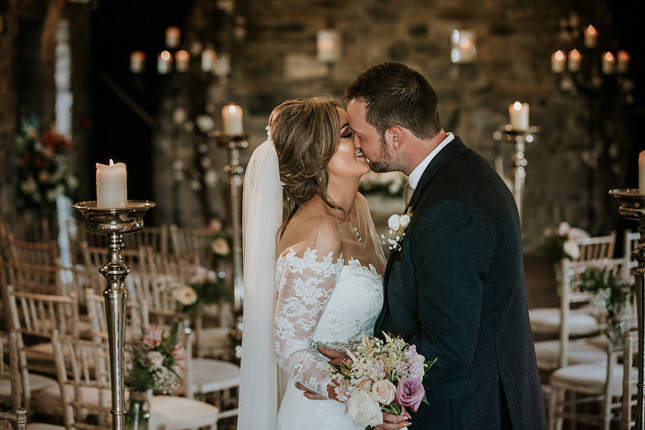 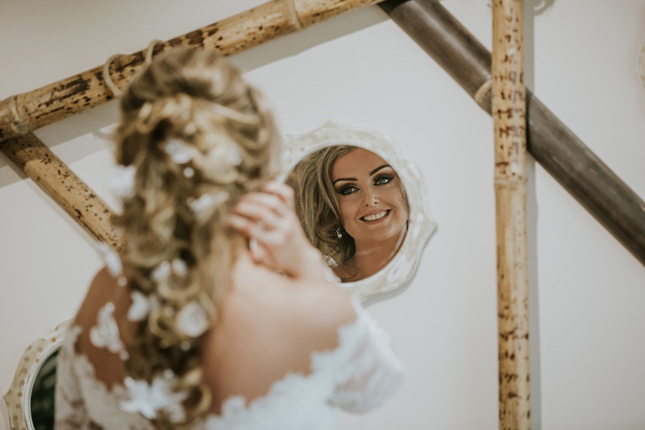 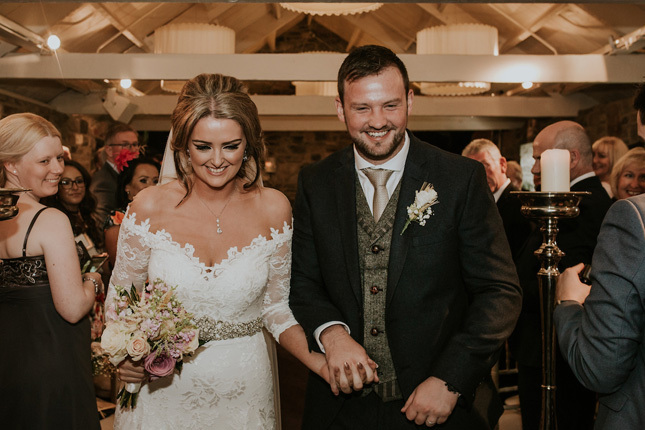 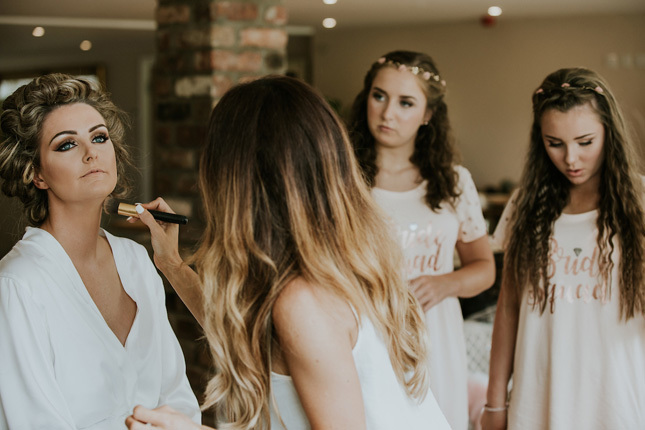 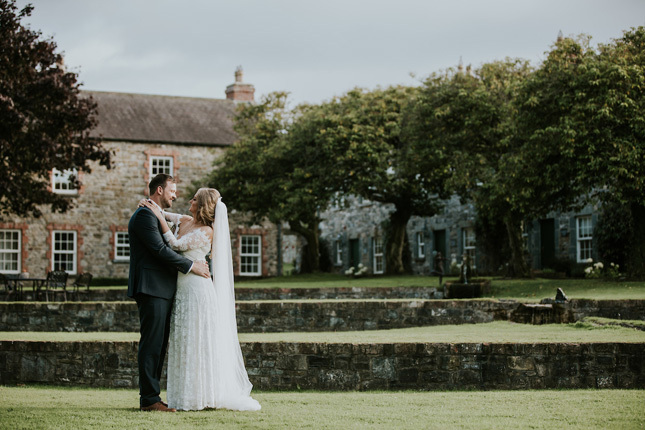 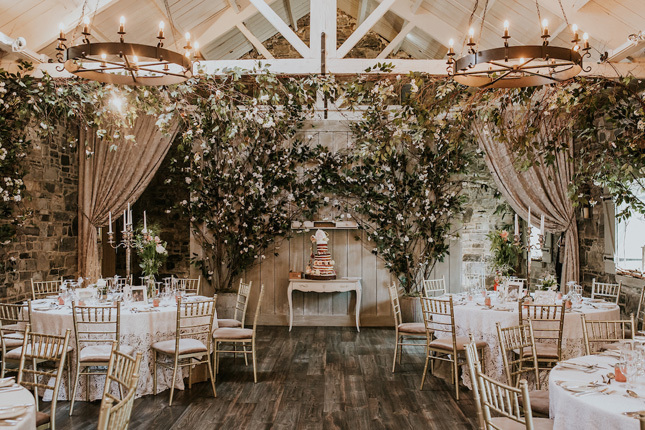 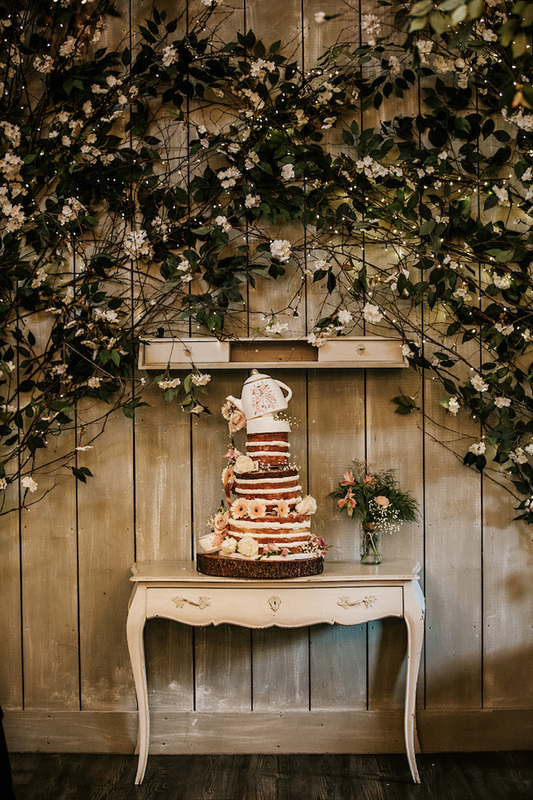 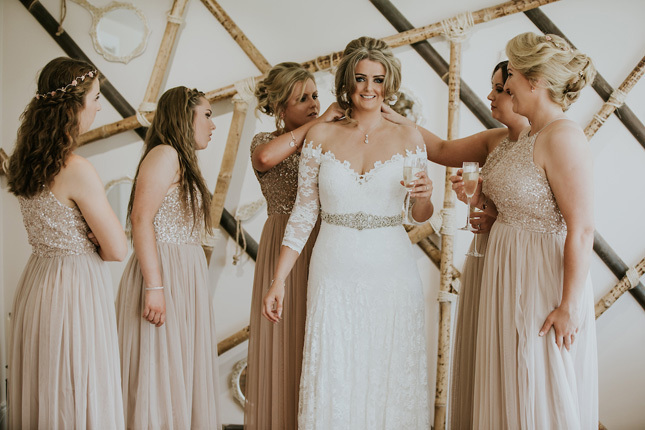 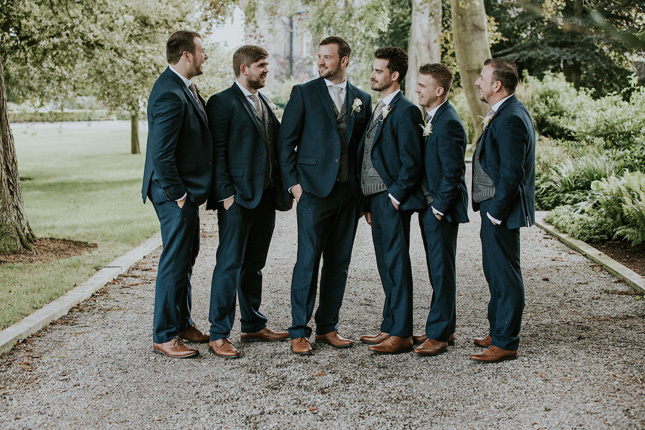 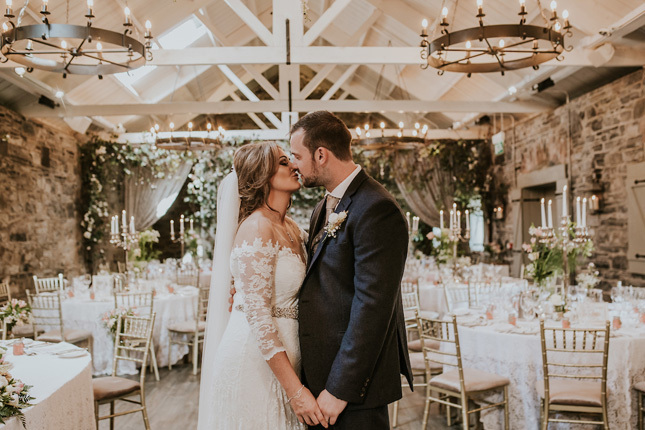 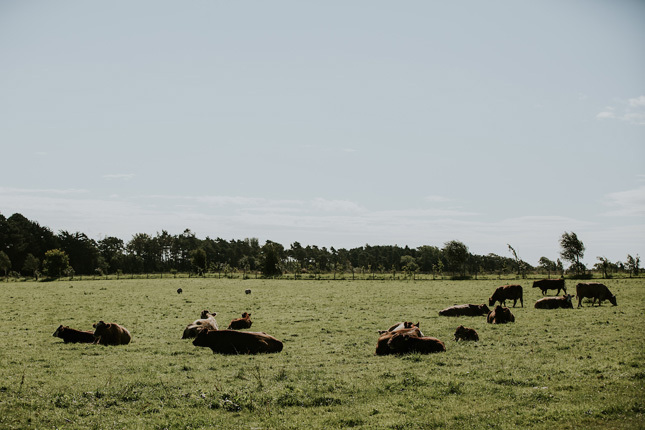 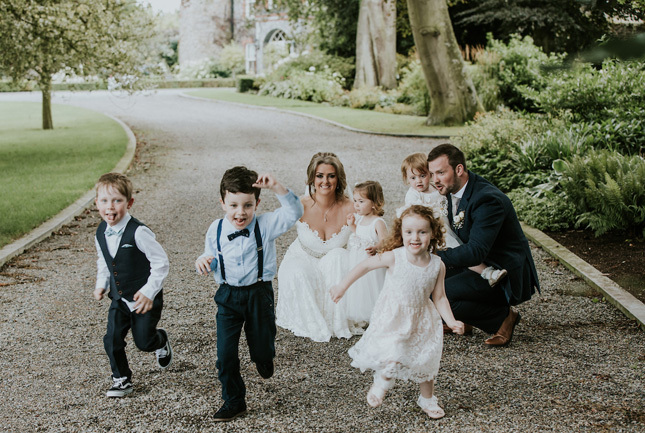 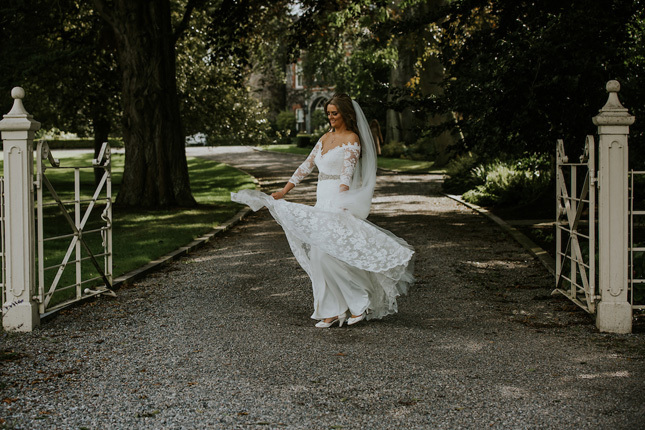 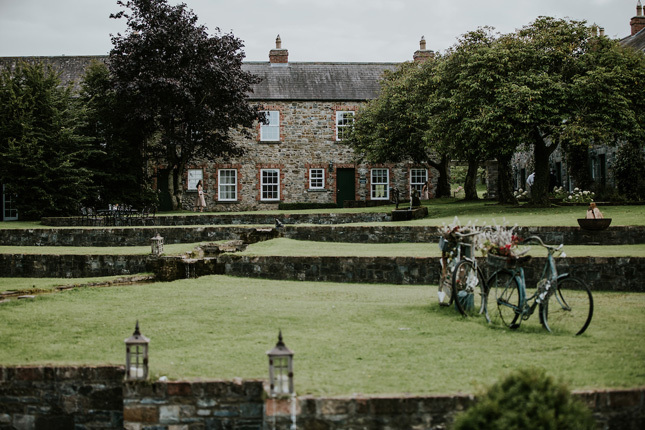 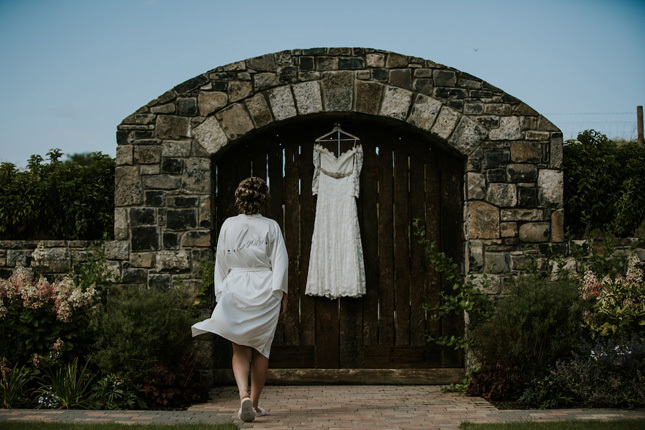 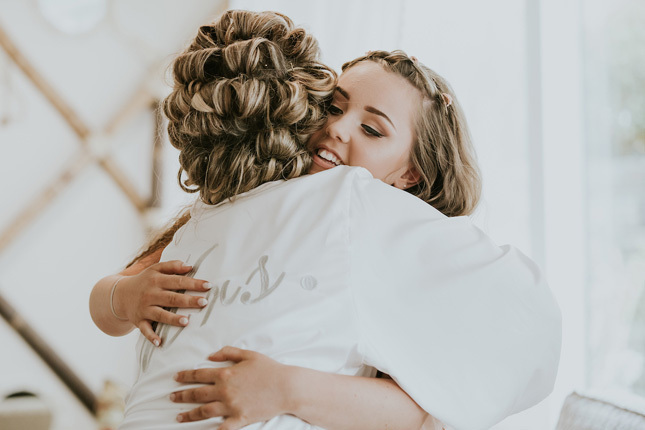 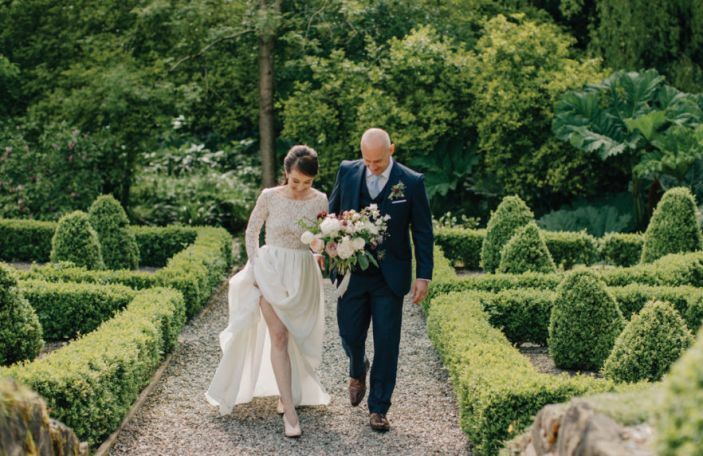 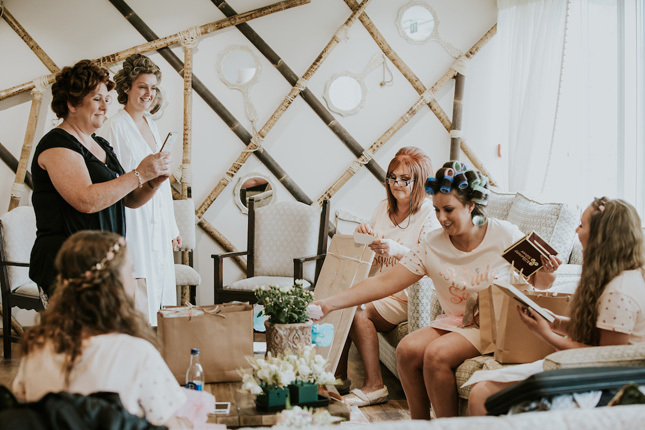 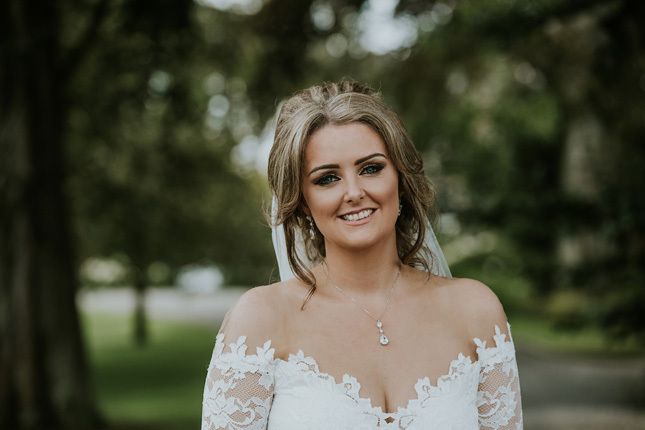 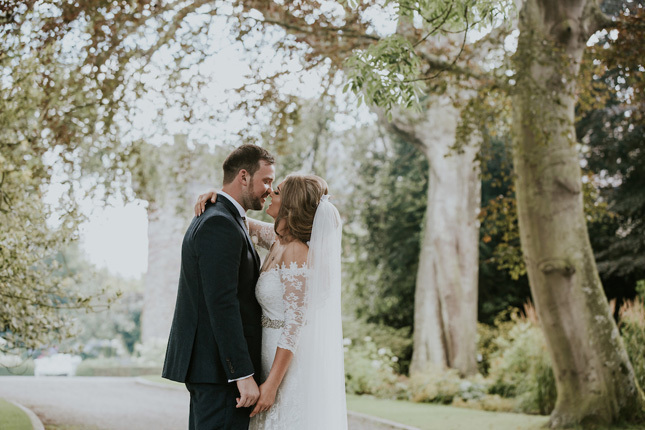 "We loved the way in which Ballymagarvey had the grand first impression we wanted our guests to experience but was also extremely relaxed and informal which was the overall vibe we wanted to create on our special day. 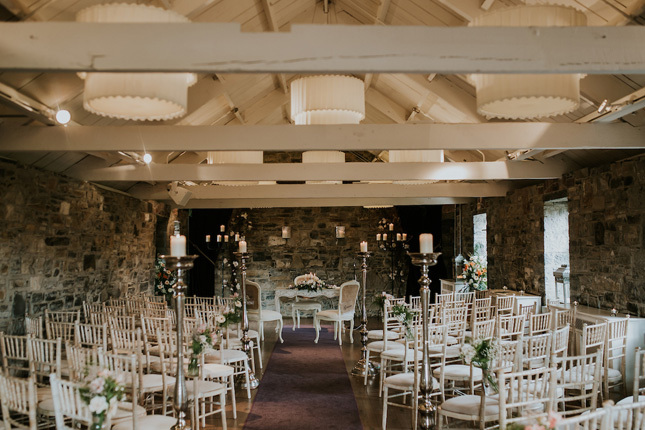 It’s rare that a venue can tick such differing boxes but Ballymagarvey Village definitely managed to do this! 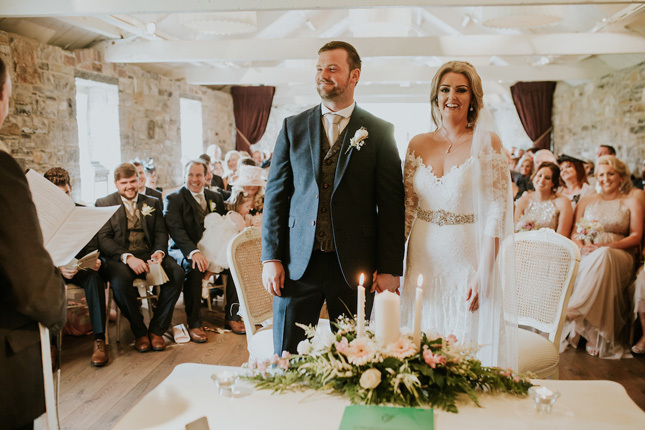 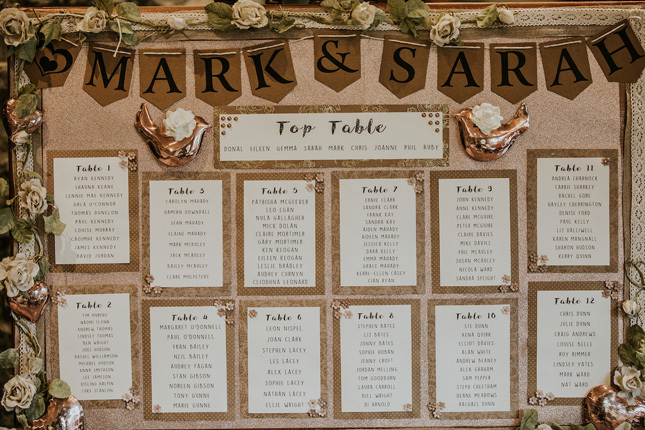 The snug bar was also a huge hit, especially with family and friends visiting from England who wanted to experience the a ‘real Irish wedding’!" 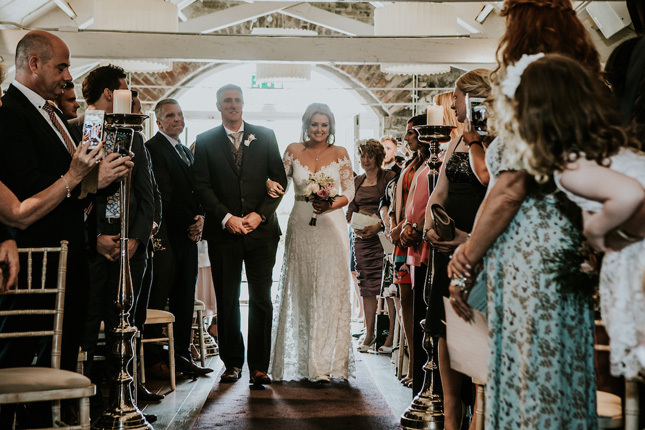 The day went off without a hitch for the pair, save for a slight slip up during the ceremony. 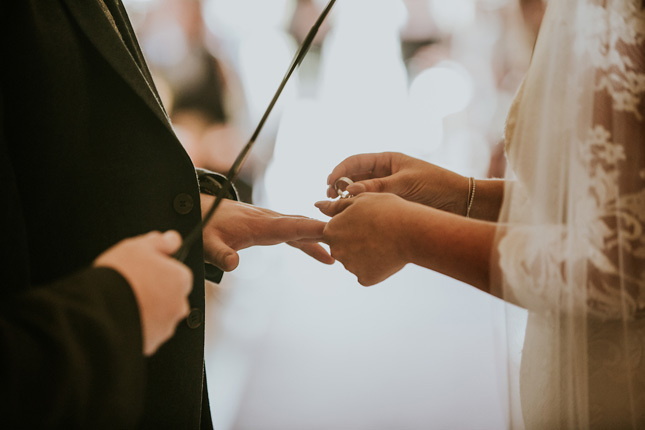 "Whilst giving our vows, Mark managed to confuse the line ‘take this ring as a sign of my faithful love’ with ‘take this ring as a sign of my unfaithful love’. 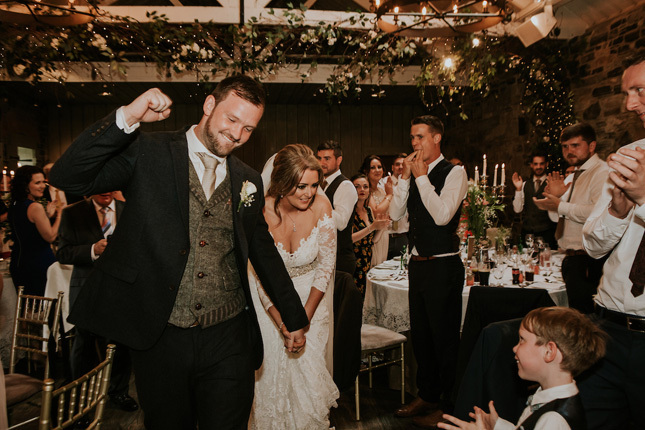 Thank God our friends and families are blessed with an Irish sense of humor and managed to find it as funny as we did. 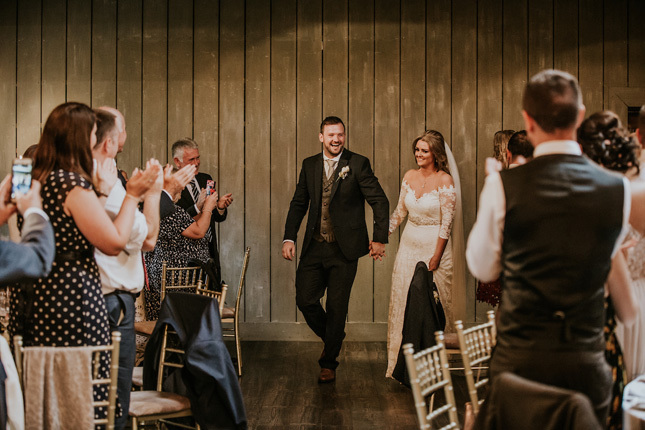 After five minutes of giggles we managed to get the ceremony back on track. 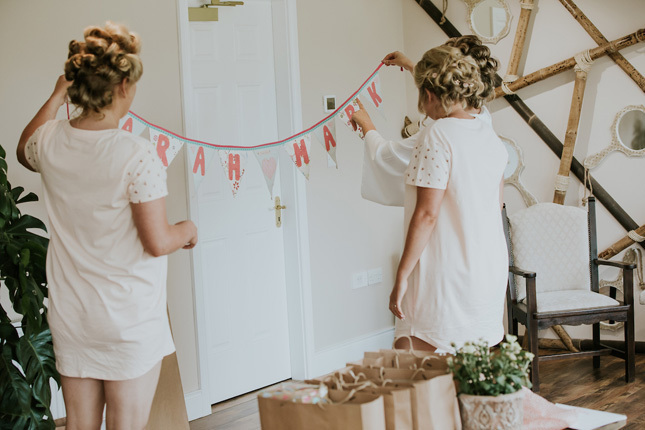 It is still talked about today," laughs Sarah. 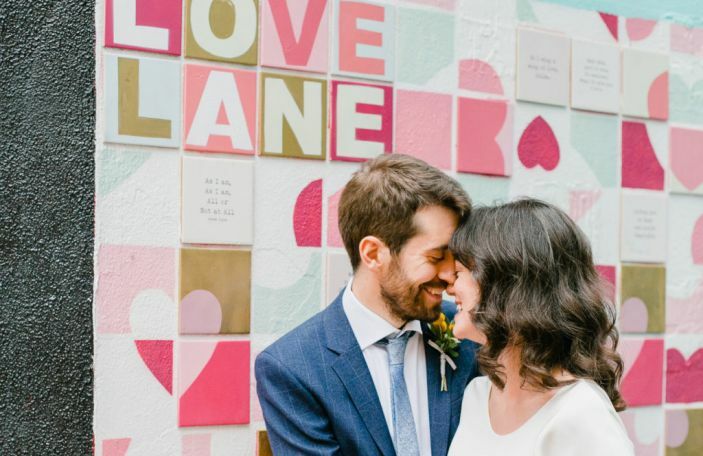 Their advice for other couples comes from something Sarah's parents told them early on, after being married for over 30 years themselves. 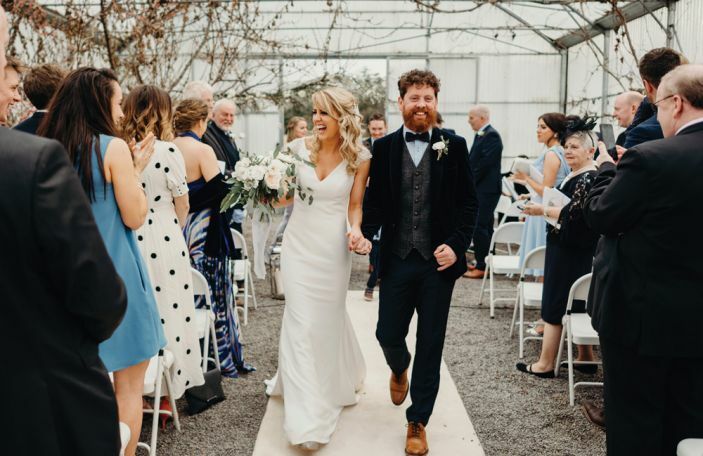 "They said to always make time for ourselves as a couple, even during the tougher times, get dressed up, go out and enjoy one another’s company; which is what we always try and do. 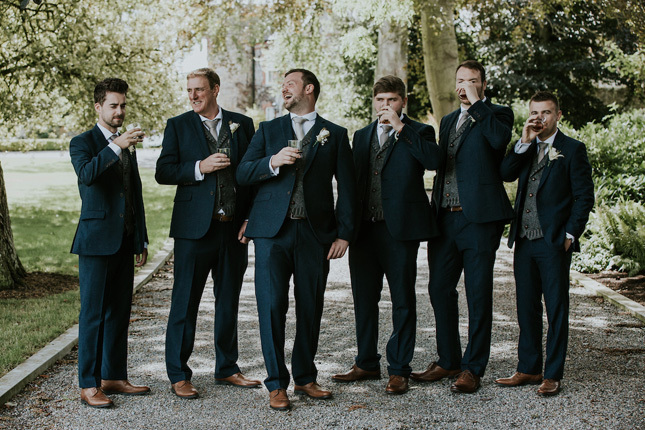 Myself and Mark love nothing more than letting our hair down on a Saturday night with a few drinks around the local pubs in Standish."